In the centuries before Roman rule, the Celts were the most powerful people in western Europe. Their legends—colorful tales of kings, queens, warriors, chivalry, and gods—still fascinate us. 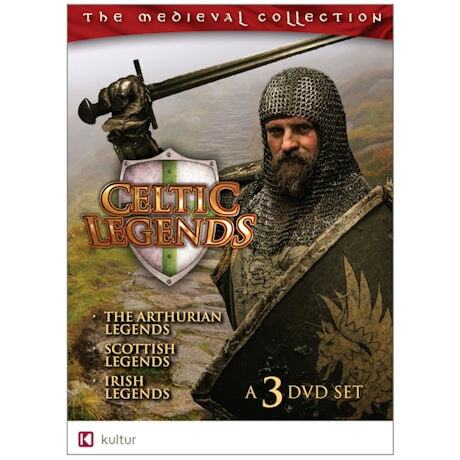 This set looks closely at the Arthurian legends and the myths and stories of Scotland and Ireland that have been kept alive through the ages: of Robert the Bruce and Bonnie Prince Charlie, Queen Boudica, Cuchulainn, and more. 2 ½ hrs, 3 DVDs.